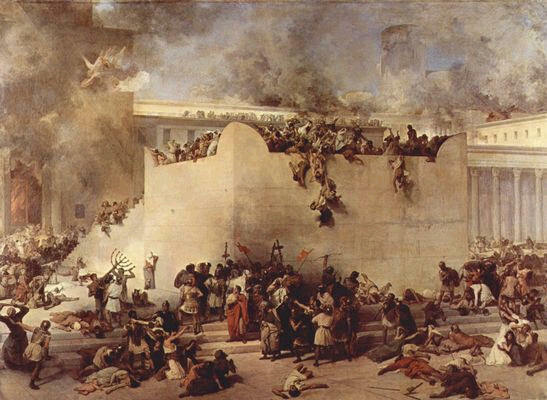 Online Tisha b'Av Shiur: Mourning the Churban After 2000 Years? 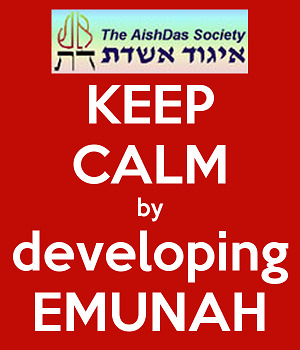 Aishdas Emunah and Mussar Workshops. For any group of at least four. 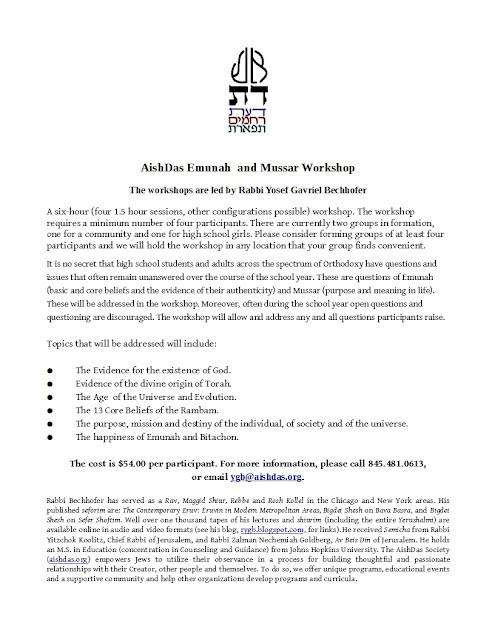 A six-hour (four 1.5 hour sessions, other configurations possible) workshop. The workshop requires a minimum number of four participants. There are currently two groups in formation, one for a community and one for high school girls. Please consider forming groups of at least four participants and we will hold the workshop in any location that your group finds convenient. It is no secret that high school students and adults across the spectrum of Orthodoxy have questions and issues that often remain unanswered over the course of the school year. 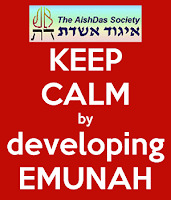 These are questions of Emunah (basic and core beliefs and the evidence of their authenticity) and Mussar (purpose and meaning in life). These will be addressed in the workshop. Moreover, often during the school year open questions and questioning are discouraged. 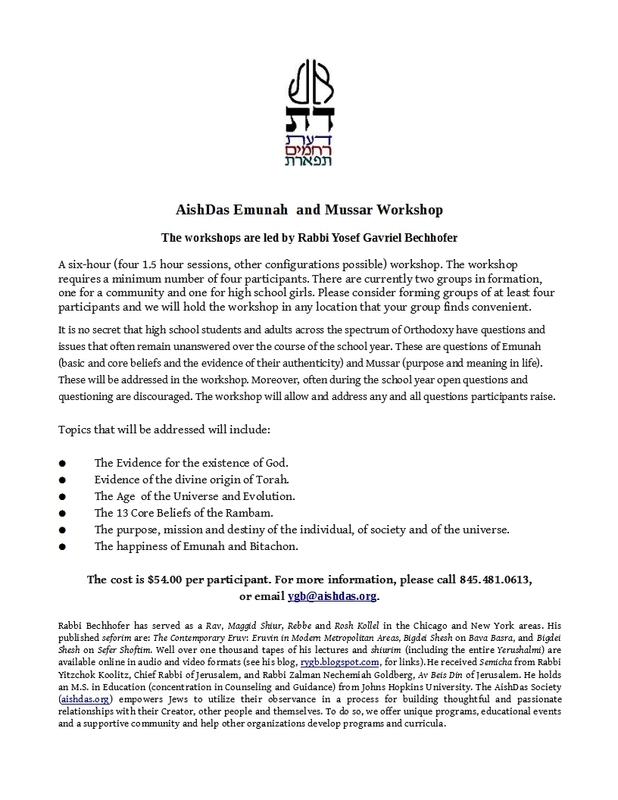 The workshop will allow and address any and all questions participants raise. 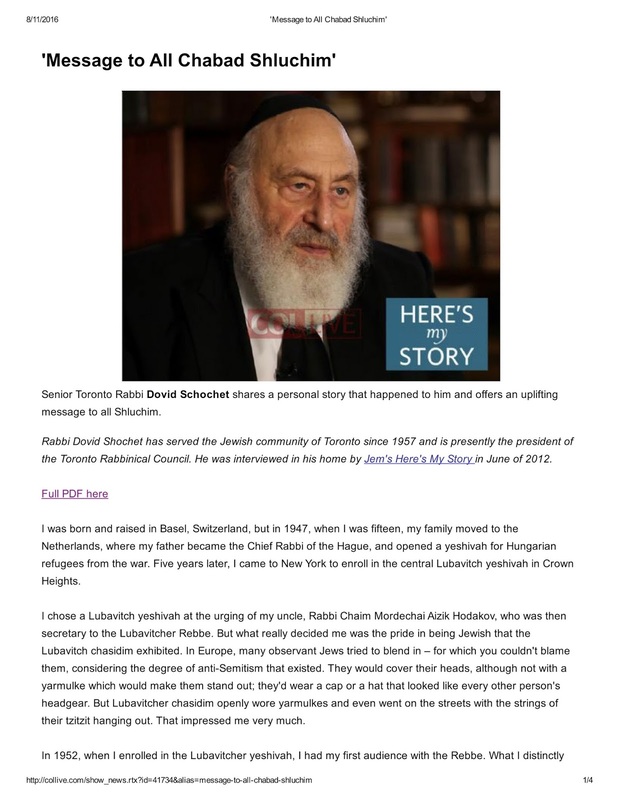 Rabbi Bechhofer has served as a Rav, Maggid Shiur, Rebbe and Rosh Kollel in the Chicago and New York areas. His published seforim are: The Contemporary Eruv: Eruvin in Modern Metropolitan Areas, Bigdei Shesh on Bava Basra, and Bigdei Shesh on Sefer Shoftim. 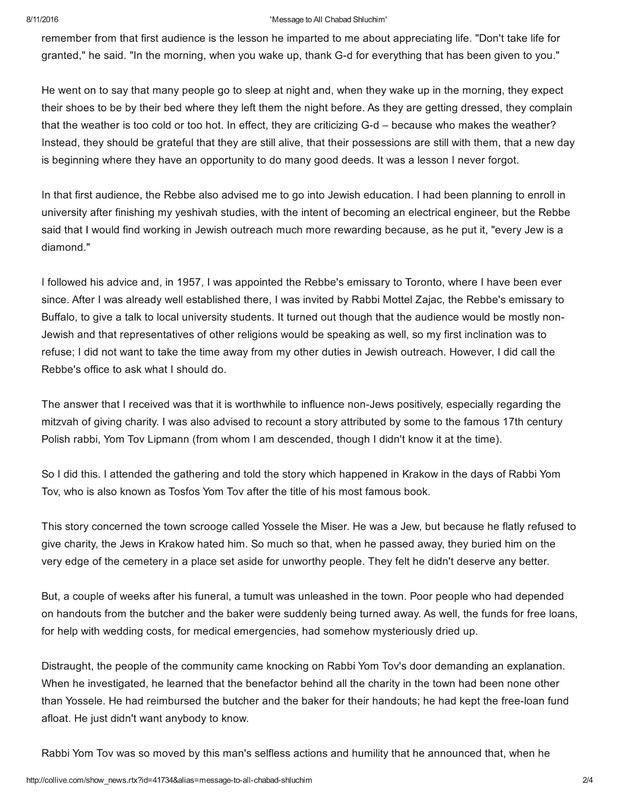 Well over one thousand tapes of his lectures and shiurim (including the entire Yerushalmi) are available online in audio and video formats (see his blog, rygb.blogspot.com, for links). He received Semicha from Rabbi Yitzchok Koolitz, Chief Rabbi of Jerusalem, and Rabbi Zalman Nechemiah Goldberg, Av Beis Din of Jerusalem. He holds an M.S. in Education (concentration in Counseling and Guidance) from Johns Hopkins University. 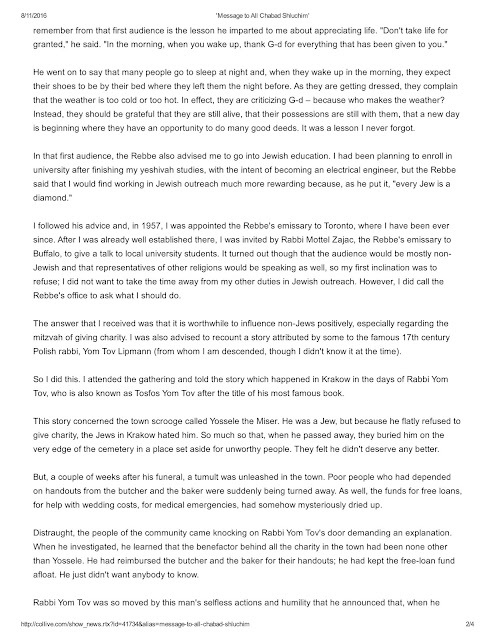 The Yerushalmi there decides that when going up for an aliyah the oleh should have the Sefer Torah opened, see where the reading will commence, and immediately begin Barechu. He should not close it before making the berachos. 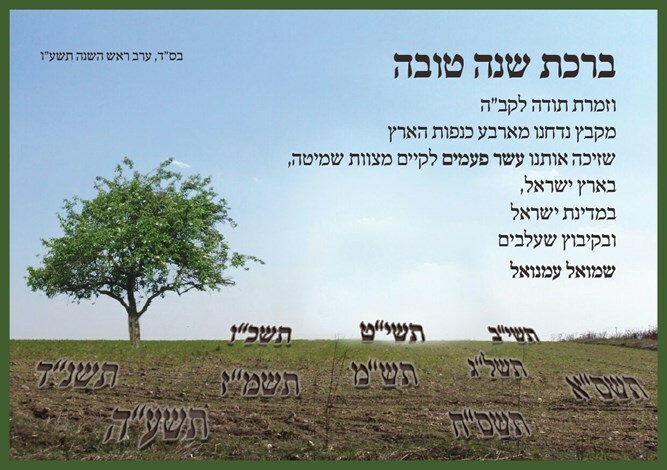 The poskim add that he should look slightly to the side, so that it does not look like the berachos are written in the Sefer Torah and that he is reading them from there. Yerushalmi Megillah 27b does not employ the phrase of the Bavli for one who listens to a reading fulfilling an obligation thereby – shomei’a k’oneh, one who listens it is as if he responded – but shomei’a as if he read himself. 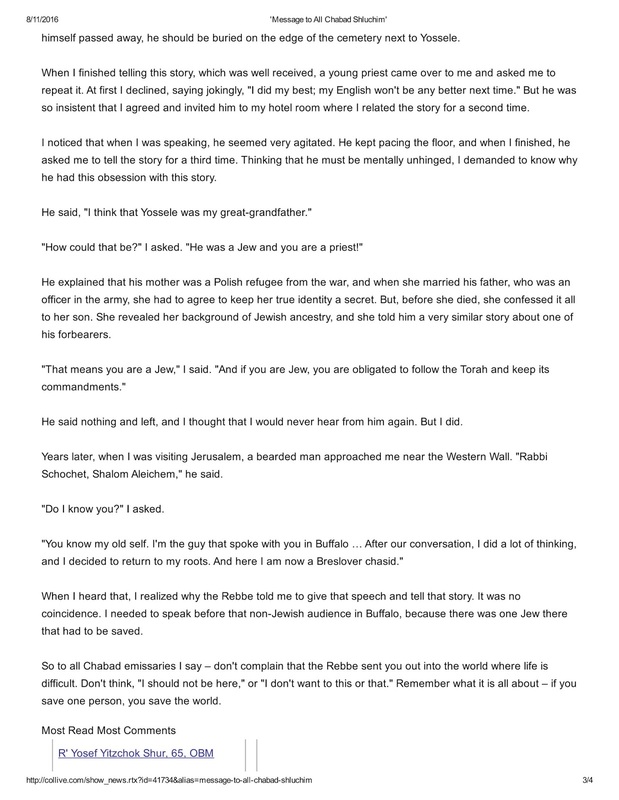 At the end of the mesechta, the Yerushalmi Megillah 34a inquires as to which mitzvah takes precedence, tefillin or mezuzah. 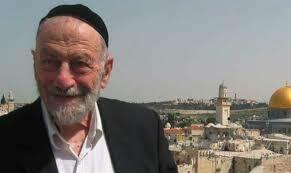 At one point the Yerushalmi argues that tefillin take precedence, because the mitzvah to don tefillin applies to travelers at sea and in a desert, whereas the mitzvah of mezuzah does not. 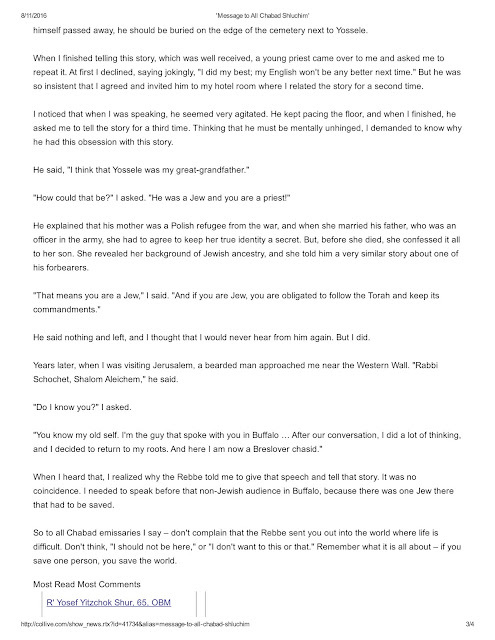 From here we see that one does not fulfill the mitzvah of mezuzah by having it on one’s door alone, but that one must actually dwell in the house in order to fulfil the mitzvah.